It only took three years for Airbnb to go from an idea in someone’s living room to booking accommodations for 700,000 guests. Uber needed just two years to evolve from its founding to raising millions in capital. While there may still be a place for the five-year plan, today’s leaders are working on five-month, five-week, even five-day plans. They are creating agile teams designed to fail fast, produce rapid prototypes, continuously learn and innovate quickly. Satisfying the customer with early, consistent and continuous deliverables. 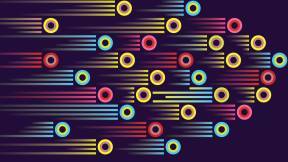 Focus on one project at a time versus working on concurrent projects. Fast, frequent, face-to-face team meetings—often standing—speed communication and track incremental progress. Engage customers in hands-on product testing for immediate feedback. Since 2001, Agile has taken many different forms as it weaves its way outside of IT into other departments and industries (see Definitions of Agile). Teams are finding old forms of project development comprised of detailed schedules, charts and requirements too slow. By the time a project is finished, it’s out-of-date. 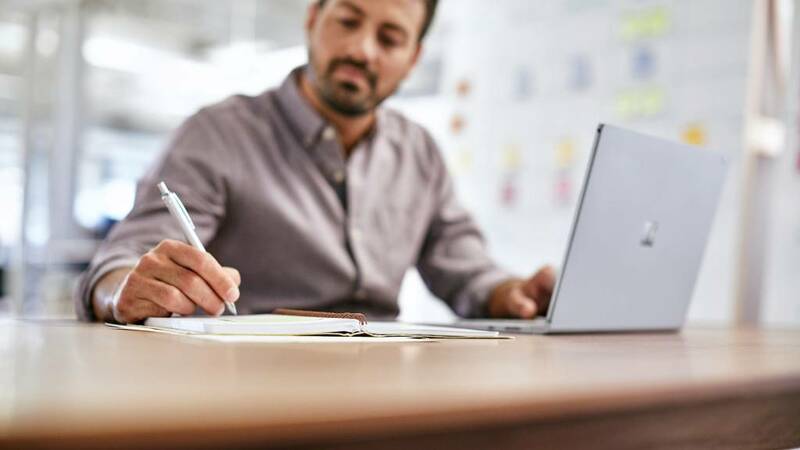 What’s needed today is a way to frequently test, improve and adjust a project as it’s put together to ensure an end result that satisfies the customer. 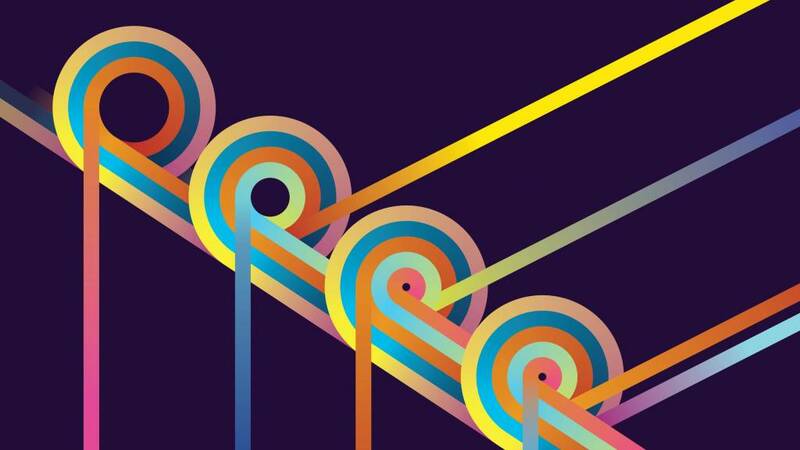 On the whole, organizations designed for efficiency are built to support a linear process—one that discourages iteration, creativity and the ability to harness change. 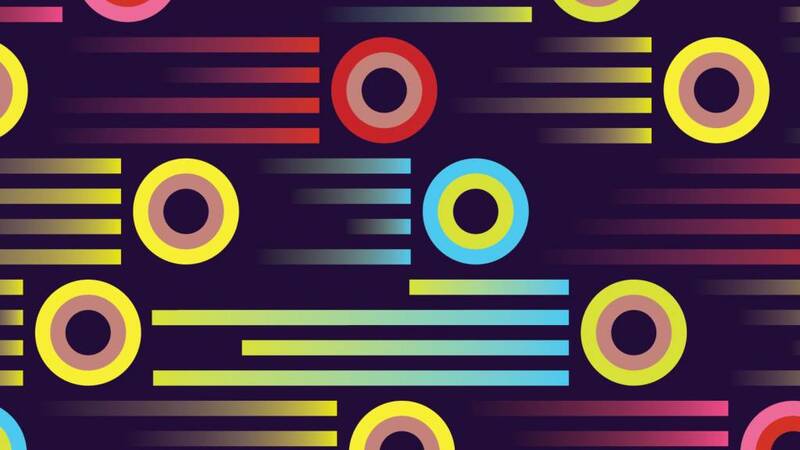 As leaders speed up their organization’s digital transformation, data and tech-enabled solutions become ubiquitous, and the creative process accelerates. Ideas will multiply. Time to market will shrink. “The nature of Agile work is that it helps the team adapt quickly with rapid learning cycles to improve the end result. 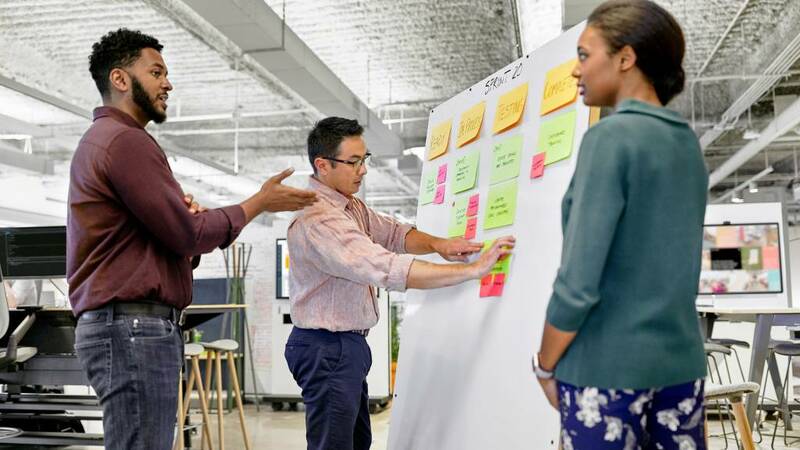 Sometimes we may need to change directions or reprioritize project requirements,” says Terry Lenhardt, chief information officer at Steelcase. Agile is practiced in a variety of ways. Some teams, especially those in the early stages of adopting Agile, find great value in some of the rituals and ceremonies associated with it. But, many teams have their own ways of achieving Agile principles. And, just as the team owns their process, they must also have some control over their place. “We are finding that the notion of owned versus shared space is radically changing. 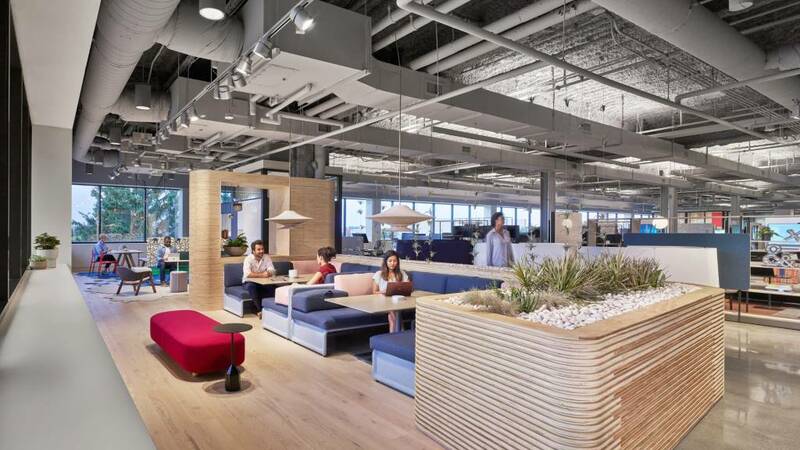 The old notion of teams ‘owning’ their own project room while sharing open spaces has flipped to more of a sharing economy approach—rooms that can be reserved for short client meetings, while using open areas for flexible team spaces,” said Lenhardt. 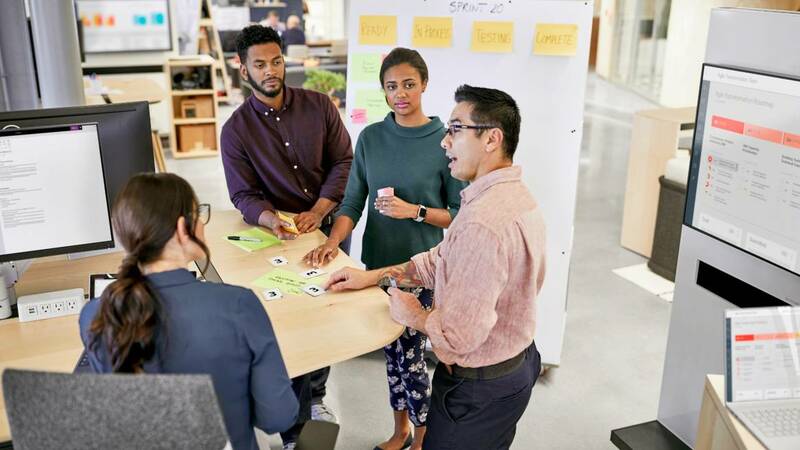 Agile work requires an ecosystem of spaces designed to support the different steps throughout the process—giving people choice and control over where and how they get their work done. 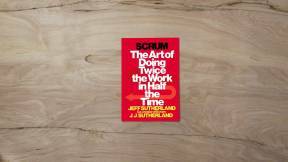 “We know in order to deliver product faster and iterate quicker, you need small teams working in short cycles.” -Dr. Jeff Sutherland, Author The Agile Manifesto Scrum: The Art of Doing Twice the Work in Half the Time. 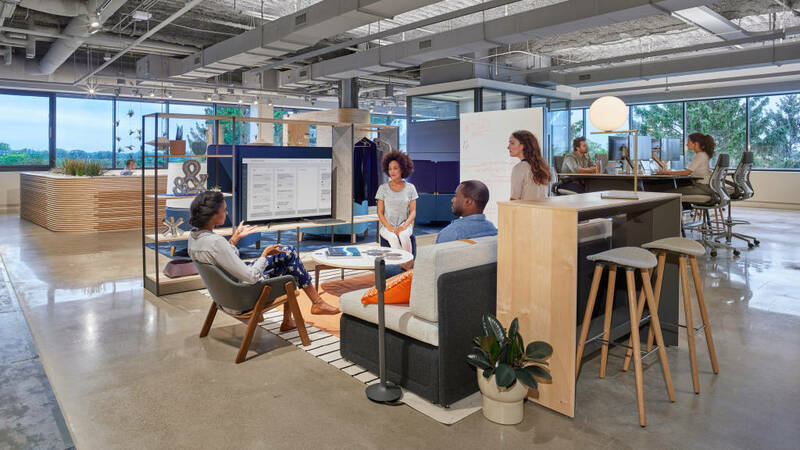 Steelcase has a long history of using its own spaces as behavioral prototypes to experiment with new ideas and learn what works best and what doesn’t. The latest example is an evolving environment where Agile work concepts are being tested and evaluated in actual use over time. 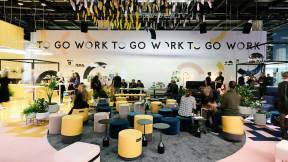 It’s generating a growing bank of knowledge about how people are working in new ways and how the workplace can best support them. 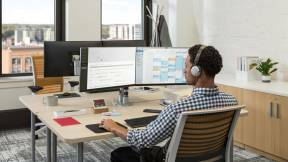 In the spirit of Agile work, Steelcase researchers are sharing several key spatial attributes for spaces to support Agile teams. These initial findings consider individual and group work modes as well as transition states. Analog and digital displays ensure the team sees the big picture while allowing them to curate and take ownership over tracking progress. A standing posture promotes an active, quick directional meeting designed to get the next set of activities going. 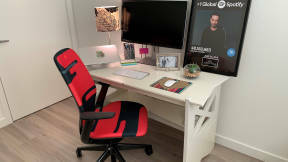 Avoid distractions by having this space away from the main working area. Team members have to be able to execute project requirements. A place for deep, focused work while remaining cognizant of the team supports continuing progress and knowledge building. A space for shoulder-to-shoulder work helps build knowledge within the team. Cross-training means if someone is sick or on vacation, the project can keep moving forward. Frequent customer testing and learning loops require a place for review that allows equal participation. This should include an area where someone can take notes on action items that everyone can see and agree upon. Transition spaces support rejuvenation for people doing deep focus work such as coding. Everyone has a unique way to reenergize. Some people need a social space like a cafe. Others need somewhere quiet like a respite space or a dose of nature like a garden area. The best place to start a conversation about agile is to define what it means for you and your organization. 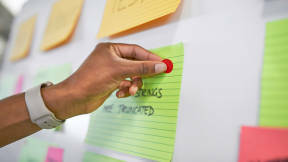 “One of the first steps in the successful implementation of agile (or Agile) is to clarify thinking and articulate a company’s goals related to it. 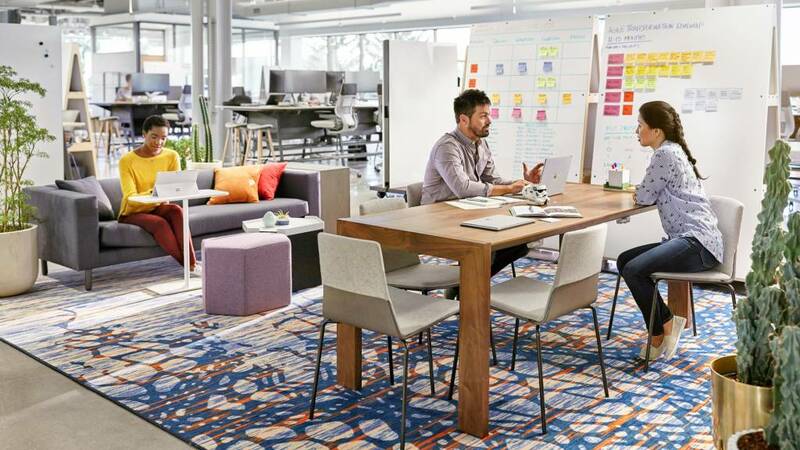 A common set of definitions is critical to that conversation and to the setting out on the successful agile journey,” notes Dr. Tracy Brower, principal, Steelcase Applied Research + Consulting. Agile software development is defined by the Agile Manifesto and uses specific frameworks such as Scrum and Sprints. Teams outside of information technology (IT) are experimenting and implementing Agile-oriented work principles such as Scrum and Sprints. An agile working strategy supports mobility, teleworking, desk sharing and other similar approaches. 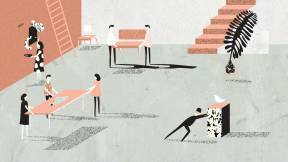 An agile workplace is flexible and can respond to the changing needs of the business. 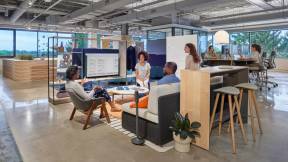 The best agile workplaces give teams some control over their physical space. 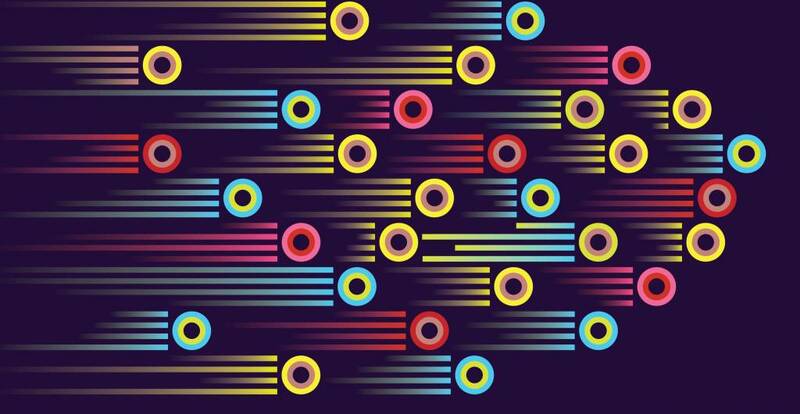 An agile culture is one in which flexibility, adaptability and speed are the rule. It must be present for definitions 1-4 to exist. 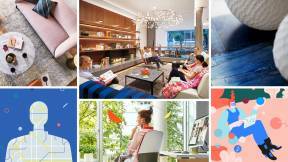 Steelcase will continue to share its Agile learnings with 360 readers both in the magazine and online. 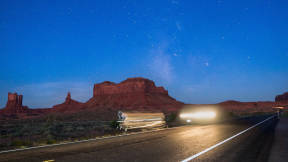 Are you on a journey to create an Agile organization? 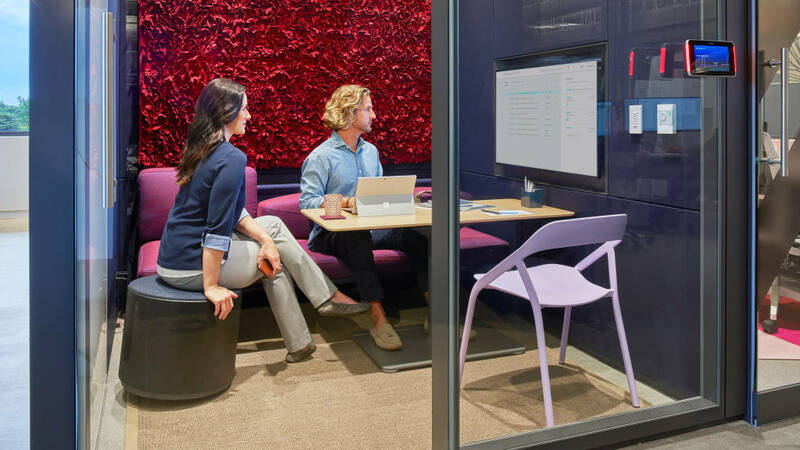 We’re sharing what we’ve learned about how space can accelerate the adoption of agile in Transforming IT at Steelcase: An Agile Case Study. Plus, listen to our 360 Real Time podcast with Dr. Jeff Sutherland explaining why he bans email and our conversation about the power of agile work with the CEO and co-founder of Menlo Innovations, The Business Value of Joy. The Scrum Master helps the team follow the Scrum framework and eliminate any barriers. The Product Owner is the project’s key stakeholder. They are actively involved with the team and hold a vision of what the team will accomplish. They help define, prioritize and make decisions about product requirements. The Scrum Team is the group doing the work. They are empowered to decide how to get their work done and how much they can accomplish during each Sprint. During the Sprint, the team lists the project’s requirements and divides each cycle of work (i.e. one week), or Sprint, into its own list of requirements. Once they finish a piece of the project, the progress is tracked visually. Teams hold themselves accountable. A show-n-tell or product demonstration at the end of each Sprint that includes the customer for rapid learning and instant feedback to the team. The daily Stand-up Meeting lets the team gather on a regular basis to coordinate their activities for the day. It’s a quick huddle to make sure everyone continues to push forward together. In Scrum, Velocity is the number of project requirements completed during each Sprint.